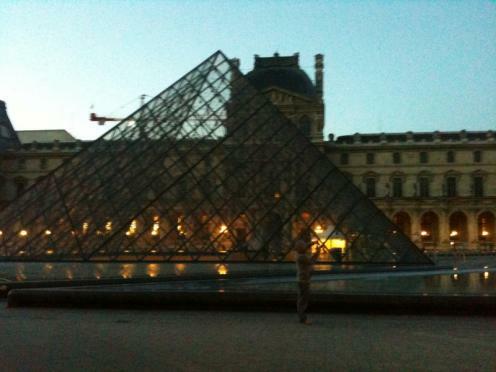 Today we got up super early to get to the louvre. We ended up being the first there, so we got to the front of the line. It was good because we didn't hav to wait in line too much. The louvre was really good. I enjoyed it. When we were finished we went to look at some shops and that inspired us to go shopping tomorrow. We saw some awsome wookie shoes at the adidas shop.